The "Think It Through" group in Danville, Kentucky is requesting that any addict with willingness to speak at their meeting contact Derek G. (Paul M. can put you in touch). The group hosts a speaker meeting twice monthly, on the 2nd and 4th Fridays of each month. The group is small and has a lot of early recovery in its meetings. Any assistance would be greatly appreciated. 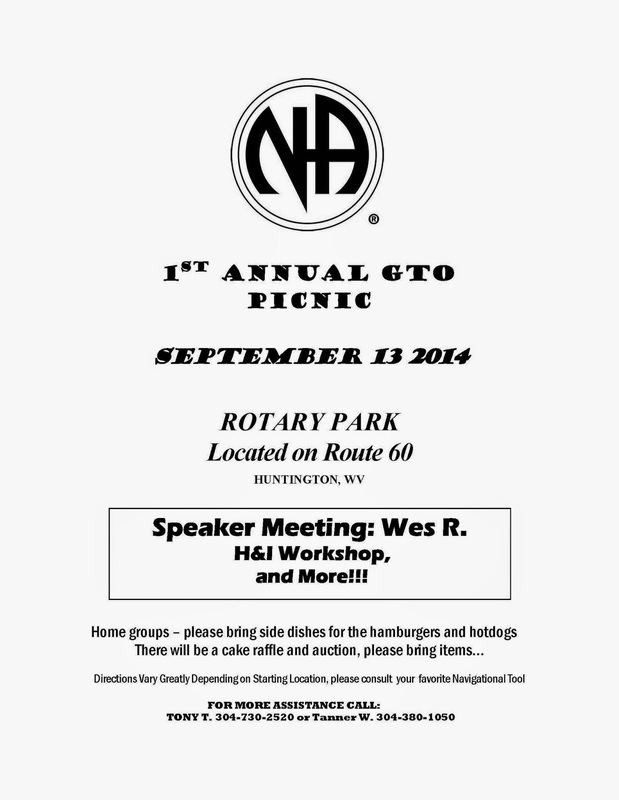 Another Look group of Narcotics Anonymous will be changing its meeting time to 6:30pm starting on September 12, 2014. We are still meeting at Southside Nazarene church in Catlettsburg, KY on Fridays. Your support would be greatly appreciated! On Friday, September 26th, the Small Town, Big Recovery group of Narcotics Anonymous in Ironton will be having our next speaker. Garret S. will be sharing his experience, strength, and hope. The meeting begins at 7pm, and all addicts are welcome. Sat Night Trust the Process will be celebrating 2 miracles on Sept. 6, 2014. We have home group members picking up 7 years & 28 years that evening!! There will be some goodies to snack on as well! We hope to see you there!